Aside from Ford and GM, Tesla is one of the few American car companies to go public, and their stock has gone through the roof (and continues to do so). Let’s take a look at the short but awesome history of this US car manufacturer. The company was founded by Martin Eberhard and Mark Tarpenning in July of 2003, and it was strapped for cash for the first few years. Then, Elon Musk took over the reins as Chairman of the Board, and things began to change. He led a round of financing that saw the company gain $13 million for development of the Tesla Roadster, and in 2007, the company raised an additional $40 million, an initiative also led by Musk. The Roadster was introduced on July 29, 2006. It was unveiled at a special by invitation only event at the Santa Monica airport, and now the company is an official car manufacturing company. Over the past 10 years, this car has continued to evolve and it is one that many auto enthusiasts dream of owning. The first 2,250 models were sold from 2008 to 2012, with no thanks to the television show Top Gear, which panned the car so bad that there was a libel case that Top Gear ultimately won. The Model S was unveiled on June 30, 2008. This is the car that Tesla is known for, and it is more of a family vehicle, with seating for seven and a starting price of $50,000. This is still a sporty looking vehicle, but one that is more affordable for the masses. Of course, the company keeps on developing more interesting vehicles, and the prices keep getting lower and lower, which means more of us can afford these awesome cars. Tesla vehicles keep getting more and more affordable. 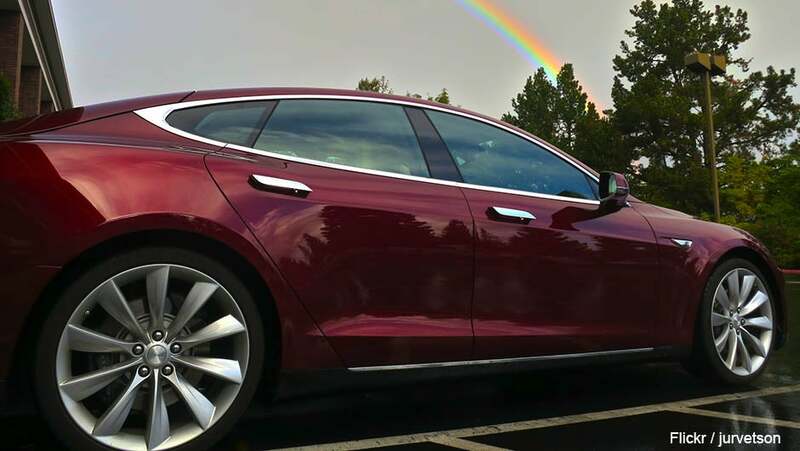 The company announced mid-2014 that they would be developing the affordable Model 3, which was estimated to have a starting price at below $35,000. Unfortunately, it is still in the works, and there is no word yet as to when this car is going to be released. The newest innovation to be worked on by Tesla is the “D”, which stands for dual motor. Three new Model S cars were introduced early in 2015: The Model S 60D, the Model S 85D, and the Model S P85D (the top of the line in this series). These are all pretty much the same as the original Model S, at least visually, but there are some pretty extreme differences under the hood. For instance, the Model S P85D will go from zero to 60 in 3.2 seconds, a time that the company plans to improve on. It has been made faster since it was released to the world via an over-the-air software update. Customers can get this update for free, and it tunes the “Insane” mode to trim 3.2 seconds to 3.1 seconds. Not only does Tesla build fast cars, it is also a company that is environmentally responsible. Tesla is now going beyond building cars to working on solar energy. The focus is to end the need for expensive grid power, and to have the world using solar energy instead. The first product that is coming from Tesla Energy is the Powerwall Home Battery. This is a huge battery that is designed to store solar energy for home use.